Echoes of jubilations are resonating everywhere in Nigeria now. The Nigerian Army has gladdened the hearts of Nigerians with their baffling onslaughts on terrorists, in the New Year. The latest clearance operations by Nigerian troops on some Lake Chad enclaves, major reservoir of hideouts for remnants of Boko Haram terrorists, posted amazing casualty figures, shattered insurgents and compelled the surrender of hundreds of terrorists to the Nigerian Army and the Nigerien authorities. For the terrorists, the center cannot hold again, as they are now gasping for air, haunted by their own evil. This latest onslaught on terrorists has disarmed cynics, who believe Nigerian troops cannot triumph over the residues of terrorists. But salvation does not come easy, anywhere. It takes a focused leadership, sustained planning, assiduous work and resources to navigate the path of liberation successfully. For the Nigerian Army, ending the war on terrorism is their first and last priority for the year 2018. And the Chief of Army Staff (COAS) Lieutenant General Tukur Yusufu Buratai and helmsman of the counter-insurgency operations in Nigeria is making a bold statement that Boko Haram terrorism would finally end in 2018. Therefore, the Nigerian troops are pulling the strings harder against terrorists. Under the leadership of General Buratai, another Chibok schoolgirl, Salomi Pagu abducted since 2014 by Boko Haram terrorists has secured her freedom. She was rescued in Pulka alongside a 14-year old girl as well as several other Nigerians held captive by terrorists for years. But that is not the most cheering news the Nigerian Army has served Nigerians in the New Year. Nigerian troops of "Operation Lafiya Dole” in conducting the “Operation Deep Punch” have gallantly invaded the hideout of Boko Haram terrorists in the Lake Chad region. And the operation has been an impressive harvest of victories and successes in favour of Nigeria. The “Operation Deep Punch,” in clearance operations did not only record high casualties on insurgents in the raids, but sophisticated weapons and equipment were also recovered from the Boko Haram terrorists. Also, a factional leader of Boko Haram, Mamman Nur has been decapitated, while one of his wives was swallowed by the fury of the battle. The devastating onslaught on insurgents by Nigerian troops, spiraled into the forced massive surrender of hundreds of terrorists to both the neighbouring Nigerien Authorities and the Nigerian Army. Among those who surrendered are top Boko Haram commanders who have denounced the sect as satanic and demonic. 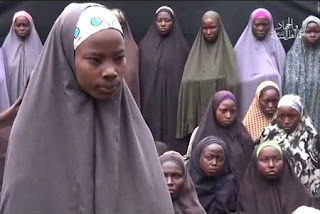 But most profoundly, Boko Haram’s release of another Chibok girl, without any negotiation from the Nigerian Government is a loud statement about the complete disarray in terrorists camps. It means, on a daily basis, Boko Haram insurgents are losing the strength and capacity to sustain the war of terror on Nigerian people. Insurgents are falling prostrate before the superior firepower of Nigerian troops, who are determined more than ever, to crush them to their bones. Gen. Buratai has dangled both the “stick and carrot” approach in the prosecution of the anti-terrorism warfare. It means the insurgents have options and he is pursuing these two options simultaneously and effectively. So, it appears, in 2018, there is the firm resolve of the Nigerian Army to crack the last nuts of the terrorism war. Actions in the warfront suggest that troops are prepared to invade the camps, enclaves and homes on terrorists on border communities to confront insurgents fire for fire in their illegal kingdoms. And the startling exploits have left terrorists without cohesion and balance. They have been hit below the belt and the few survivors are perhaps, regretting why they have held tenaciously to the insurgency war. Nigerians are appreciating the fact that the counter-terrorism war has graduated to a stage, where the military’s degradation of the terrorists camps is increasingly making it impossible for the insurgents to even keep their captives in the vaults of their secret camps, but free them as done to the Chibok girl and scores of other freed Nigerians. The compelling massive surrender of terrorists is an indication of the willingness of more terrorists to renounce the obnoxious trade and repent from their heinous atrocities or crimes against humanity. It is a willingness compelled by a force higher than what the terrorists can sustain in all ramifications. Therefore, the rescue and clearance operations are signs indicating bright hopes that every person held captive by terrorists is likely to regain his freedom soon to reunite with his family and fraternity in Nigeria. In this year, Gen. Buratai has vowed that terrorists who have refused to embrace the carrot dangled befor them or the soft-landing offered by the military, have murdered peace. The recent exploits by troops are practical expressions of that recalcitrant insurgents would not have any comfort again, if they do not surrender, as Nigerian troops are determined to ruthlessly crush them. Gen. Buratai has demonstrated in the few days of the year 2018 that it is going to be another impactful and rewarding year for the Nigerian Army and Nigerians in the battle against terrorists. There is an overt assurance that certainly, 2018 would be difficult year for obstinate terrorists and their sponsors/agents no matter the extent they veil themselves or where they operate secret camps. The results are already pouring in, as terrorists who have surrendered to the Nigerian Army’s “Operation Safe Corridor programme,” have been accepted and are being de-radicalised and rehabilitated to become sane human beings. Those who still stick to terrorism are bearing brunt in the hands of troops. Therefore, Nigerians who still doubt the capacity and competence of the Nigerian military have been pleasantly surprised. The few who still nurture doubts have every reason to rethink based on the current realities. So, they should gracefully step out to dramatize support for the military in the days ahead in order to end insurgency in Nigeria. While not unnecessarily eulogizing the Nigerian Army or Nigeria’s Army Chief, popularly called the “Peoples General,” it is difficult to cast off your mind on the amazing exploits which have heralded the New Year. The incontestable truth is that the military has sauntered into the year brilliantly and on an extremely reassuring note. It has widened the possibility of finally ending terrorism in 2018. The hope is alive and strongly expressed in words and actions by the Nigerian Army. Kolawole PhD is a University lecturer and sent in this piece from Keffi, Nasarawa State.